These ingredients are merely suggestions! Tweak it to your family's tastes. 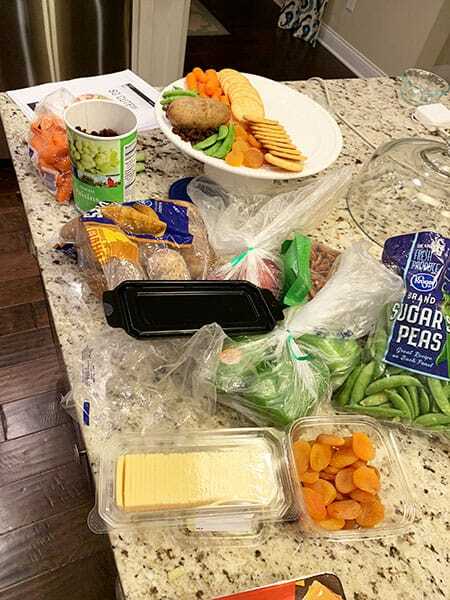 A few suggestions are pretzel sticks, pepperoni slices, rolled up ham or turkey slices, red or green bell pepper slices, sliced or whole olives, cherry tomatoes, broccoli or cauliflower. 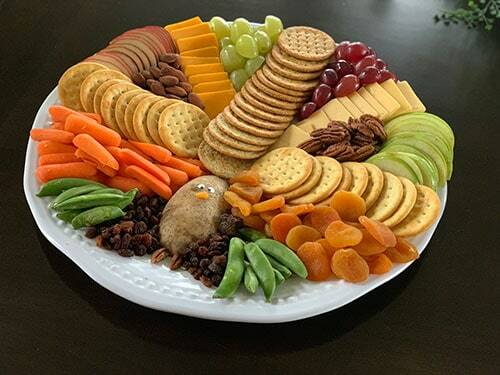 If you missed me on FB live making the Turkey Appetizer Tray, you can watch it HERE. Start at the bottom with the turkey head, using either a potato or pear (if needed, slice the potato in half lengthwise so it will lay flat). You will build out from him in a fan like fashion. Be sure to use the picture as a reference as you are creating your turkey! Following the picture, add the raisins, snow peas, carrots and dried apricots. Next, spread out 3 different type crackers using the picture as a guide. 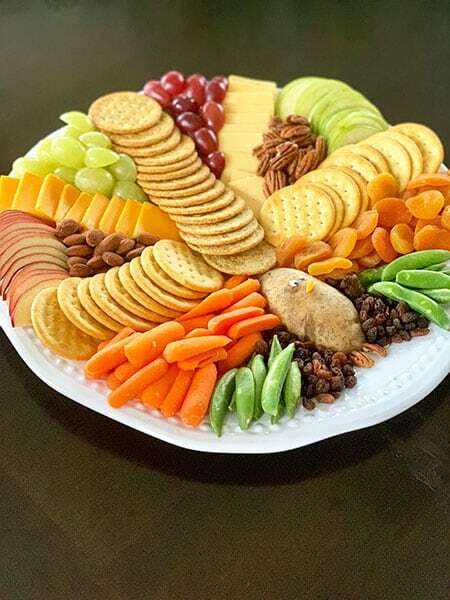 Fill in between the crackers with the almonds, cheese slices, grapes and thin apple slices. The last part is what really makes it. Add eyes to the turkey by using a hole punch to make 2 white circles and marking them with black dots. Or, take a piece of the white cheese, cut in a circle and put a raisin on top for the pupils. The nose can be made by cutting a triangular piece out of the dried apricot or cheddar cheese. Give him a cute tongue by slicing off a piece of a red grape and don't forget to add pecan halves for his feet! 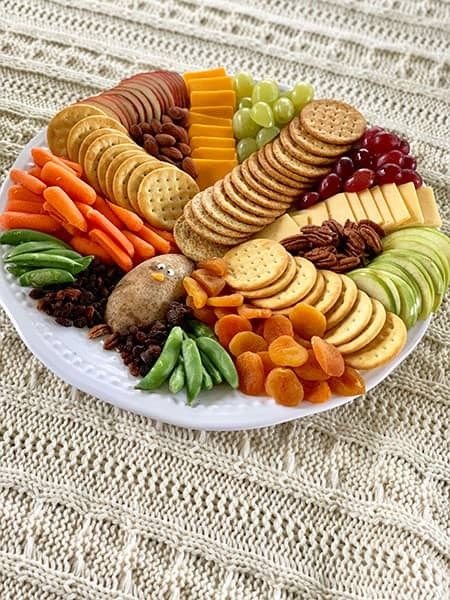 What a great and healthy option to have for your guests to nibble on while they wait for the main event. Or such a cute idea for a holiday party! As I mentioned in the video, tomorrow we'll be doing a one day freezer cooking challenge and I would love for you to join me! 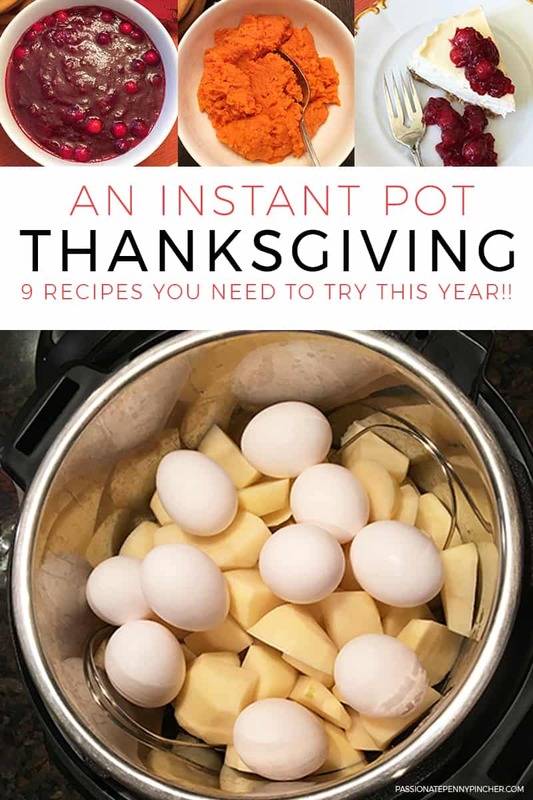 I'll be using my friend Tiffany from Eat at Home Cook's recipes ~ head on over HERE to get started, and use the code PPP to save 30% off your entire order.